This is field is required. Height of ring is 1-3/4 inches. Ateco Decorating Tube Set Stainless Steel 55 Pc. 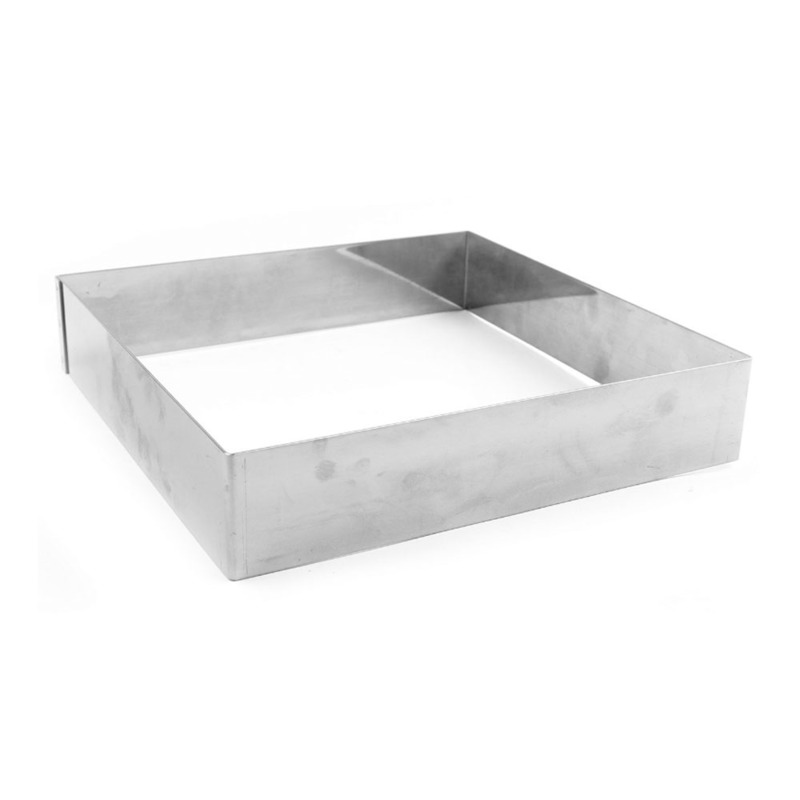 De Buyer Stainless Square Cake Ring, 4-3/4"
Bakedeco / Kerekes is a distributor of quality tools, supplies and equipment for every food service establishment & restaurants. We are proud to present to you our on-line catalog with over 25,000 items in stock, featuring a full line of quality kitchen products for every chef.